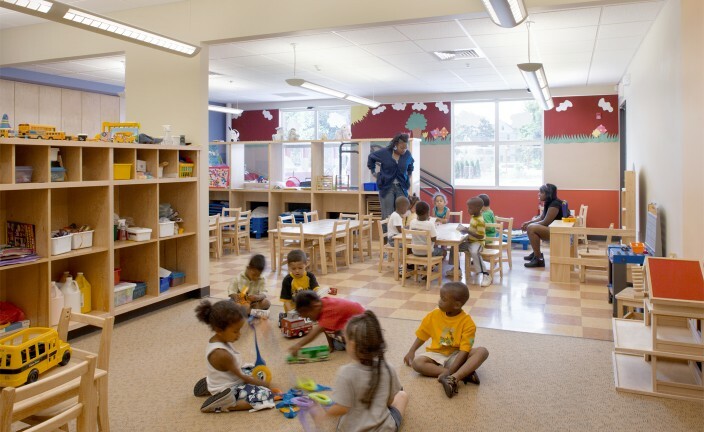 The Salvation Army embarked on a capital campaign to replace the current day care center, which was insufficient to meet the needs of the community. 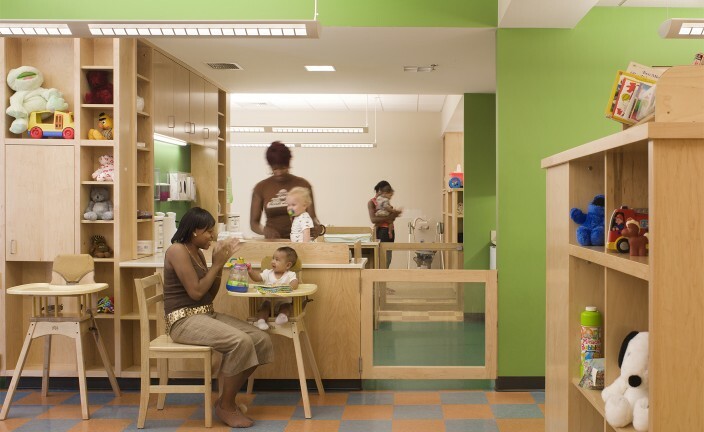 The new child care center was designed, phased, and built around the existing child care center to maintain continuous operation throughout the construction process. 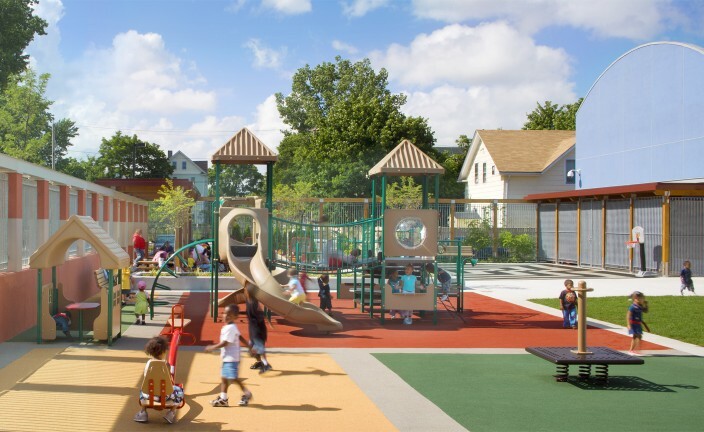 The very tight, urban site required meticulous space planning to accommodate the day care requirements for cubic area per child, storage, outdoor play space, bathroom facilities (age-appropriate), and different code and egress requirements for the age groups (infants and toddlers, pre-school). 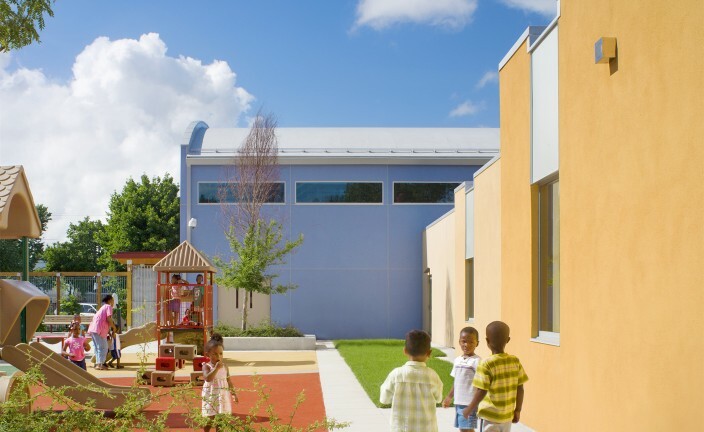 The new center achieves these objectives by arranging major programelements around a courtyard that serves as the playground. The gymnasium/cafeteria anchors one side while the two-story classroom building bookends the other. 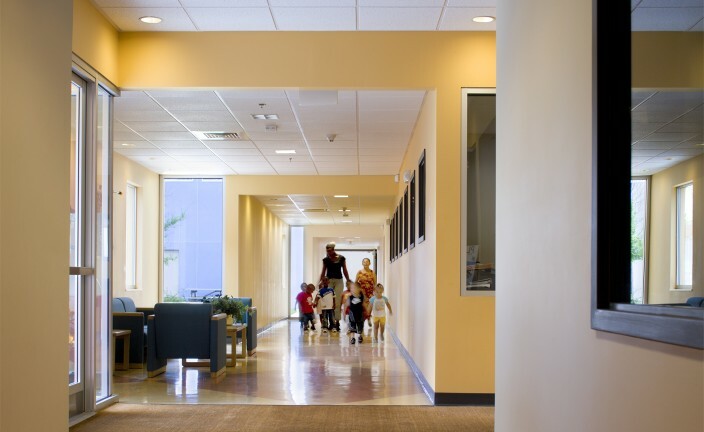 A stepped wall marks the entrance reception area and houses the administrative wing and kitchen facilities. Economy, durability and ease of maintenance required that the exterior of the building be clad in simple materials. 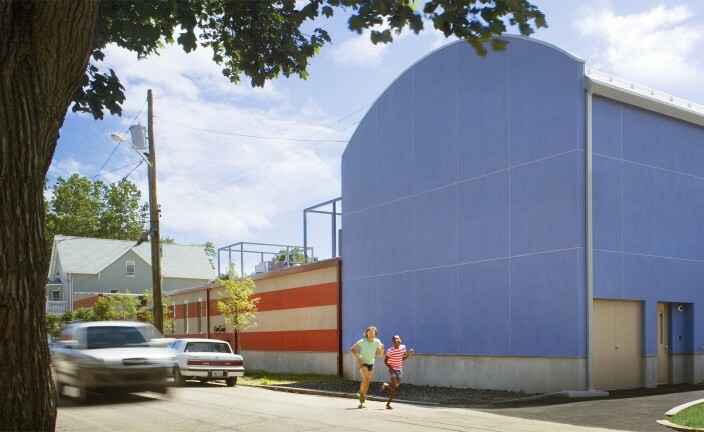 The architect chose a color scheme of “fruits and veggies” to enliven the simple geometric shapes and engage the children. Blueberry, tomato, and squash became the language of the architecture. 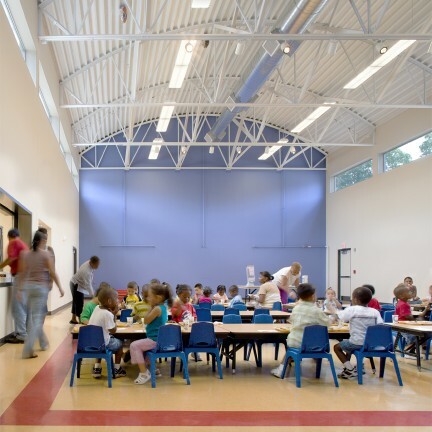 The size of the classroom wing, which is much larger than the adjacent residential buildings, is mediated by breaking down the massing into smaller, gable-ended structures that echo the neighborhood scale. 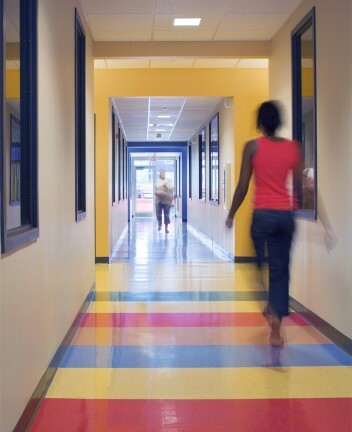 This also allows light, an important program requirement, to penetrate into corridors and classrooms throughout. 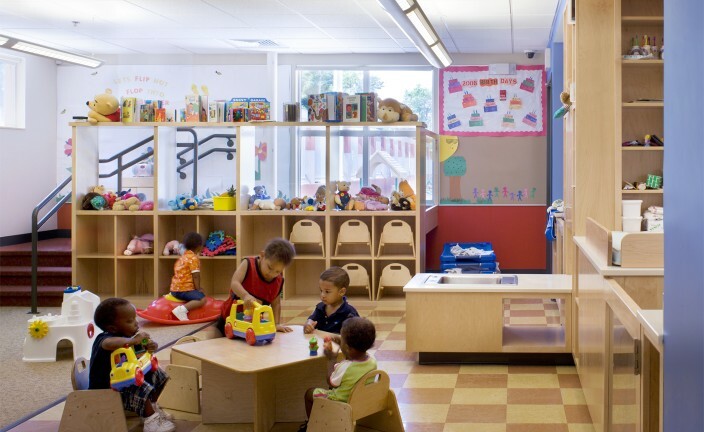 Finally, color, form, and arrangement provide a safe and friendly environment for the children.